ME, MY MEXICAN AND OUR LIFE'S ADVENTURE. “World’s Best” Mac & Cheese, Please! It was a fall day in Seattle and as I left my hotel to spend the day walking and exploring downtown, it started to rain. Where was my umbrella? Staying nice and dry in the hotel room because I forgot to bring it with me. Great. So as I zipped up my jacket and threw on my hood, I continued on. As the wind whistled by, my body started to feel the chill of it on my wet clothes with each passing block. I contemplated heading back but I was on a mission to have the World’s Best Mac & Cheese and I wasn’t going to let the weather stop me. I had been to Seattle a few times before. 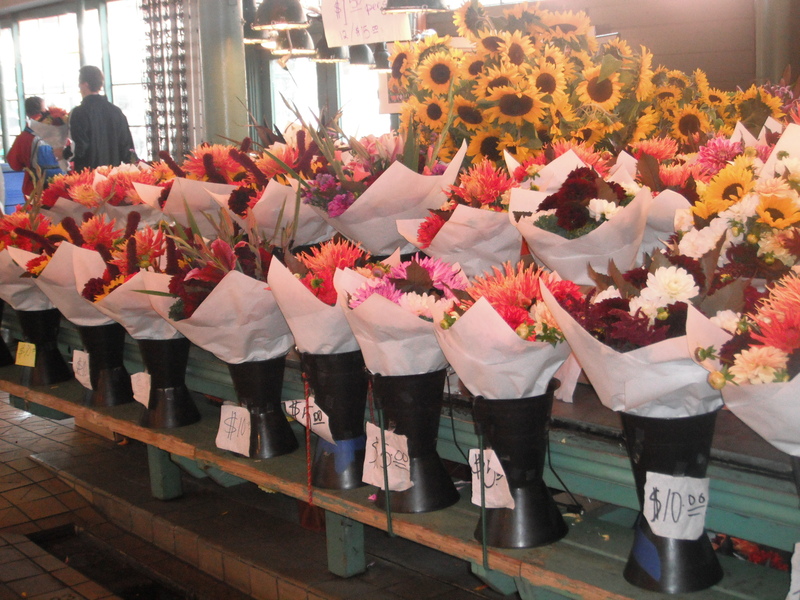 Every time, I made sure to visit Pike Place Market. I love it there. The people, the cheap flowers, the crazy fish salesmen, the unique arts and crafts, the food. On my past visits, I would always stop at this cheese shop on the corner across the street from the market and stare through their windows watching the cheesemakers at work. I would then go in, look at all the cheeses for sale in the store, read their menu board at the front and listen to my tummy growl as my eye’s zoned in on the words “macaroni and cheese”. I love macaroni and cheese. I grew up on homemade macaroni and cheese. It’s comfort food for me. I don’t have it often anymore because it’s not necessarily the most nutrient rich dish, but boy when I do have it, it makes me so happy. For some reason though, each time I visited this store, I never tried their Mac & Cheese. There was always other eating plans for that day, either a restaurant up the block, a cafe around the corner, you know…Seattle…it has so many options that you can’t even touch the surface of it. But this day, I was on my own. Armando was busy at a business meeting so I planned in advance that I was going to give this pasta dish a try. I couldn’t remember the name of the place but I remembered the location. 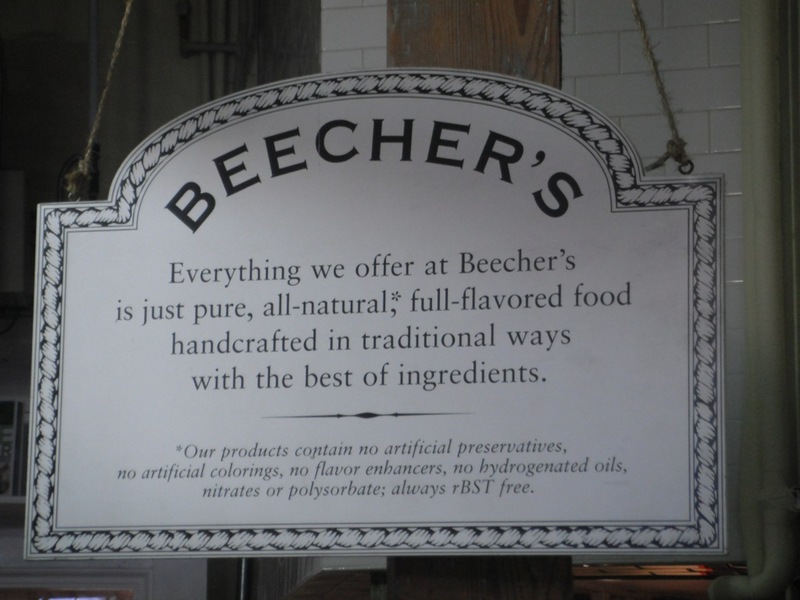 As I briskly walked, unsuccessfully trying to avoid the raindrops as I swerved back and forth down the sidewalk, I saw the store ahead…Beecher’s Handmade Cheese. I rushed in and matter-of-factly walked up to the counter to place my order as water started dripping from my jacket, pooling at my feet. I ordered the Mariachi version of the Mac & Cheese that had veggies and chili’s in it to add that extra kick. 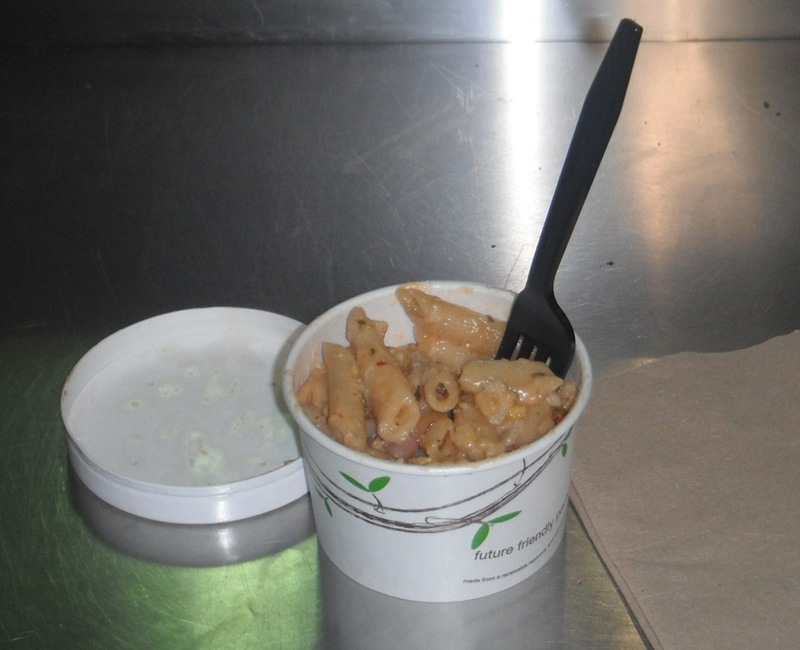 After paying, I took my paper cup-like bowl over to the metal counter top overlooking the cheesemaking kitchen, sat down and took my first bite. Yum!! Another bite. Mmmmm! With each bite, the cold shivers from the damp coldness on my body slowly started to subside. Ahhhhhh. Comfort food. Warms your body and your soul. Just what I needed that day. It was so worth the walk in the miserable weather and I think the weather actually made me appreciate it more. And I wasn’t the only one. Two ladies sat down next to me along the counter top. They were conversing between each other, flipping from English to French as they spoke. I barely remember my French from school but I suddenly picked up on a word. And immediately after that, she reverted to English and said “comfort food”. Yes indeed. I couldn’t agree more! And neither could Oprah. The frozen version of Beecher’s “World’s Best” Mac & Cheese was on Oprah’s list of Ultimate Favorite Things 2010 http://www.oprah.com/oprahshow/Oprahs-Ultimate-Favorite-Things-2010/24. Now the only problem I have is that I had the Mariachi Mac & Cheese which is technically not the “World’s Best” Mac & Cheese version. So, I think that calls for another visit to Beecher’s to try Oprah’s favorite one. Don’t You? And if it’s anything like the Mariachi one, I am in for some good soul food to warm up my body on a rainy fall Seattle day.